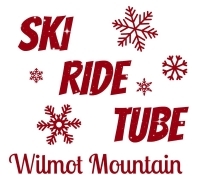 Wilmot Mountain is a ski area in Kenosha County, Wisconsin, south of Wilmot and just north of the border with Illinois. 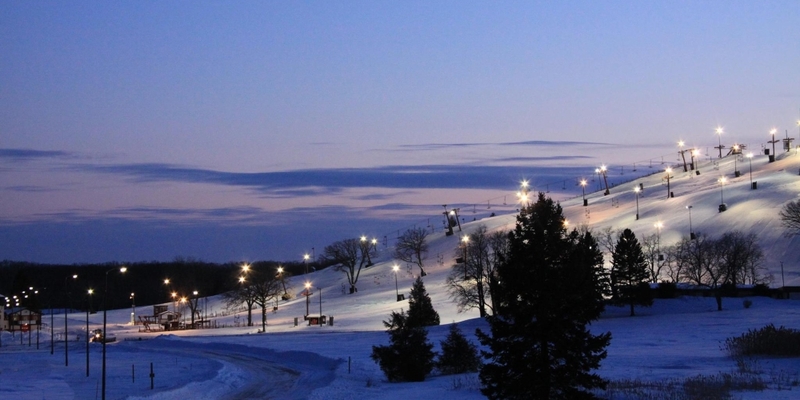 The 25 unique runs at Wilmot Mountain offer varied terrain for all skiers and snowboarders; from novices stepping onto the snow for the very first time to experts looking to further push themselves and their sport. Whether you are cruising the green runs or mastering the black diamonds, Wilmot Mountain has what you are looking for, whether you ski or ride. For added variety, the mountain boasts a Snocross course, featuring banked turns, rollers, jumps, and plenty of speed. Looking for even more excitement? Go make your way though the mogul field, encountering many different lines and challenges along the way. Last but not least, the four wildly popular Terrain Parks supply the most progressive jumps, rails, and jib features, delighting passionate freestyle skiers and riders seeking an opportunity to push the envelope. Presenting our new Wilmot Mountain outdoor chair! Now we can all enjoy chillin' outside the Wilmot & Wisconsin way! With all this sunshine, the snow on the mountain is becoming a Winter memory. It’s time to break out the sunglasses and @Supergoop sunscreen for your Spring outdoor activities! What are you doing outdoors today? We had a Winter full of ski and snowboard lessons! We love seeing you advancing your skills on the snow and our instructors love helping. Share your lesson photos with us! Give a shout out to your amazing instructor! Give us your #LessonLookback. We all had to start somewhere learning to ski or snowboard. These kids were learning how to move in ski boots like they would be moving once the skis were on. What do you remember from your first ski/snowboard lesson? Starting last night, some of our guests experienced technical difficulties when trying to purchase their passes online. The good news is that the issue is RESOLVED and we will be extending yesterday’s deadline to Friday, April 19 to ensure you can still lock in 10 Buddy Tickets for only $49 down when you buy your 19/20 season pass.